William sent us this the other day. The Science and Fear of Repairing a Tube. "Thought this would amuse you. 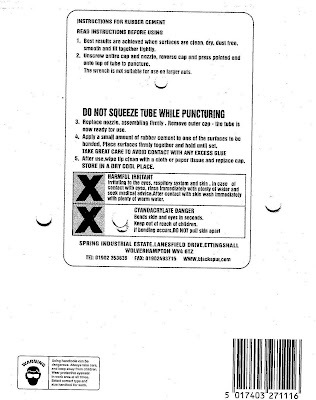 Lord help anyone trying to mend a puncture from these instructions, from a Blackspur puncture repair kit." William added this piece from an article, asking the question: "Haven't they heard of bicycles?!" Funny... 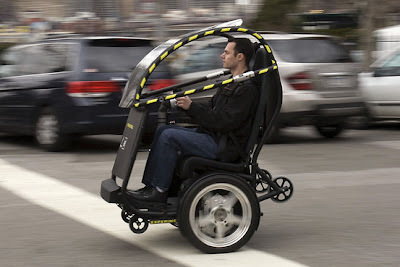 I've been moving easily through congested urban streets for years, in cities all around the world, on a bicycle. And by the looks of that machine, I'll stick to my bicycle. Although fat, lazy people will probably love it. Simplicity. The cover of a Danish childrens book from 1968. Lars Peter's Bicycle. 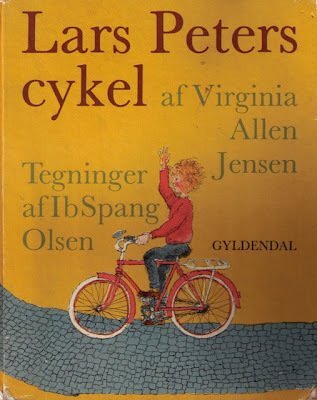 "On his 6th birthday, Lars Peter gets a new bicycle. On the very same day he meets different people who tell him about the history of the bicycle - and he also learns to ride his own."